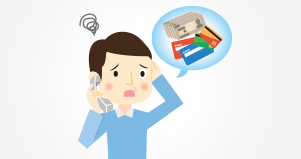 Are you dealing with multiple debts and feeling overwhelmed by payments? It’s scary if you have credit card debts at high-interest rates, in addition to other short-term loans. 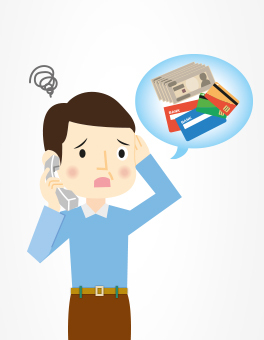 If you are unable to make timely repayments, you could feel harassed by frequent follow-up phone-calls and notices of overdue payments from multiple creditors. In your mind, you may wonder how to lower the interest rate or reduce the hassles of making monthly payments to more than one creditor. A wise step, therefore, will be to find out how you can avoid piling your debt any further in order to end your monthly debt pressures. The good news is that you can now prevent your debt from rising, while you repay it – the mantra is to consolidate your credit card debts into a single new debt at a lower interest rate than your running debts. That’s basically how the math of a new loan, when you are already drowning in multiple existing loans, will make sense. This strategy of rolling old debts into a new one has created a multi-lender marketplace in India because of many factors including the spending and lifestyle inflation of the millennial demographic group. Debt can restrict you in many ways. Most importantly, bad debt can lower your credit score and can, therefore, hurt your chances of loan approval by banks and financial institutions. Debt consolidation is a good choice if you are saddled with a lot of high-interest credit card debt and cannot negotiate any lower interest rates with credit card companies or if you have too many high monthly payments already. The goal of debt consolidation is to empower you with a single manageable and affordable loan that can make you debt-free and improve your credit score. Many banks and financial institutions in India can help you consolidate your credit card debts by providing several loan options with low-interest charges – balance transfer card, unsecured personal loan and home equity loan are a few of them. However, if you have a bad credit score due to multiple bad debts already, your chances of getting a loan from a bank or alternative lender are low. You cannot even negotiate interest rates with any lender if you have a low CIBIL score. Although balance transfer cards do not have any origination fee, you could double your debt if you defaulted at the end of 12 months when higher interest rates are usually charged. You need good credit record to avail this loan option, however. Unsecured personal loans from banks on the other hand have fixed interest rates with monthly payments for a fixed tenure. Lowest interest rates are given to consumers with good credit score. Home equity loans offer lower interest rates when compared to unsecured personal loans, and do not require a good credit score. However, failure to repay could make you lose your house. The loan option that you choose will depend on your total debt load, CIBIL score and credit history, as well as your current financial situation and cash availability. Before you take out your loan make sure you have evaluated every other factor in your favour and done your math right. You also need to have the self-discipline to effectively use whichever loan you qualify for in order to make the best use of the new loan. Personal loans are beneficial if you are making multiple high-interest payments currently, where in you can use a personal loan to save on interest charges, and also consolidate multiple scattered payments into one payment. A single debt payment at a fixed monthly rate is not only easy to manage, it organises you better and also motivates you to clear your debts faster. If you are looking for a short-term personal loan solution to pay off your credit card debts, an unsecured personal loan at a lower interest rate is a good bet. If your credit score is an issue, you can partner with an alternative lender such as CASHe to get an instant personal loan without credit checks. Install the CASHe app on your smart phone today to find out how CASHe can help you with an instant personal loan in minutes.